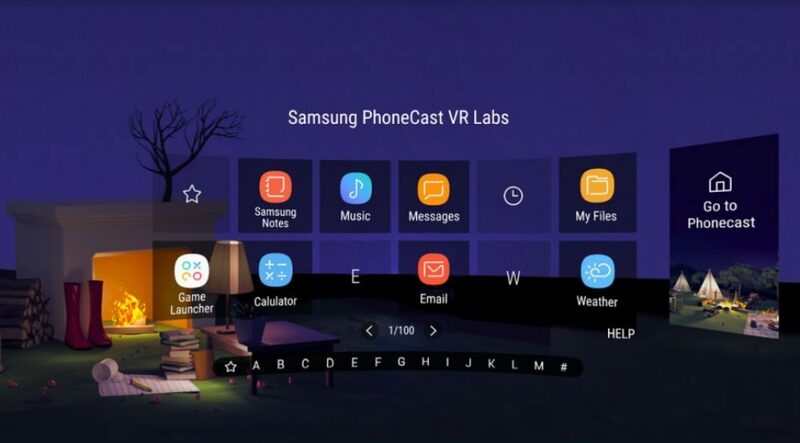 The collaboration between Samsung and Oculus has not only made a great VR headset widely available to the masses but has also made a massive library of VR apps available as well. 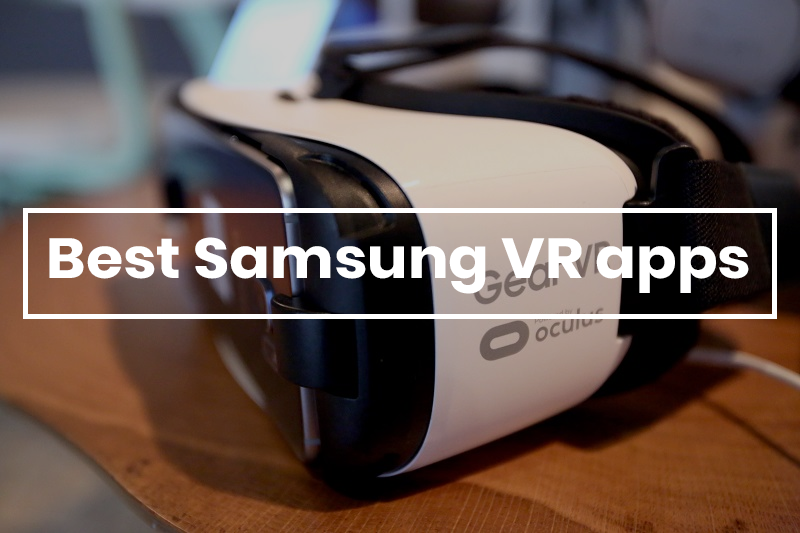 Our list of the best Samsung VR apps includes some of the top highlighted options for those looking to get into VR but are unsure where to start. VR is a relatively new technology, but the games, simulations, and other apps available have grown exponentially over time, and now VR content can be created by anyone with the right equipment. Our list of VR apps includes a selection from different genres that are popular choices among today's users. VR technology has been around long enough that extensive user feedback is available that lets us know precisely what the bugs are with different apps, and what struggles users face. We've compiled our list of apps with this feedback in mind, and also take into consideration the customer service provided in response to this feedback. There are hundreds if not thousands of apps available for VR, and more are popping up every day. Our list represents the tried and true apps and games for VR that have been well tested, well reviewed, and have proven to provide solid entertainment and performance on several different devices. With hundreds of VR apps available to users and new ones appearing every day, there is no shortage of content for viewing with your Samsung VR headset. While some of these apps are paid, there is also a selection of free apps for new users to try. The kind of VR that players prefer tends to vary from person to person, so it's worth trying a variety of apps to find the ones that fit your interests. Some apps require puzzle solving or building of items in the game, while others will require that you move through different environments and address challenges. There are also VR apps that provide an immersive experience in a different world without the need for you to do anything other than explore. While these games are typically the less intense option for VR apps, they are usually appropriate for all ages and all VR experience levels. The Minecraft VR app may not yet be perfect, but with the Samsung Gear VR controller you can build awesome worlds and explore different gaming modes. The content of this app is both 3D and 2D for a visually deep experience that users can move through. 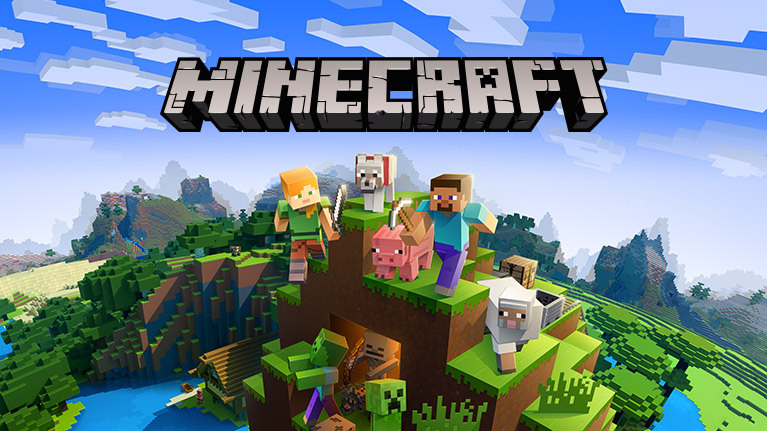 In parts of the game, you can play Minecraft as if you are in a simulated world with a computer, or you can play in a 3D space and create new rooms, environments, and interact with what you build. This app is $6.99 which makes it accessible to those who are new to VR. The graphics are very close to what is shown in the actual full-scale game, so Minecraft enthusiasts won’t be disappointed. 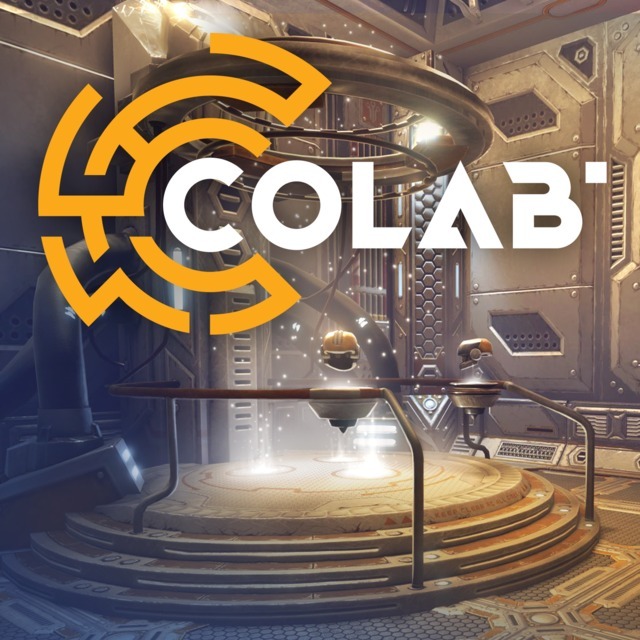 CoLab provides a whole host of puzzle games in the form of a VR game show. Each puzzle requires a fair bit of thought on the user's end, and some problems involve physical elements such as juggling. Humor is also a significant part of the game, and a robot host provides funny narrations as you work out the puzzle. There are tons of puzzles to play in this app, which makes it well worth the $4.99 price tag. Users love the atmosphere created in this game and the quality content that provides hours of entertainment. After each puzzle is solved, players advance to a whole new level, and the variety keeps things interesting. Skybox opens up VR with 360-degree videos in high resolution. Many creators have been busy making VR content using hardware such as GoPro’s and other filming equipment. These creators have now created high-resolution content showing a number of different activities, stunts, and events. 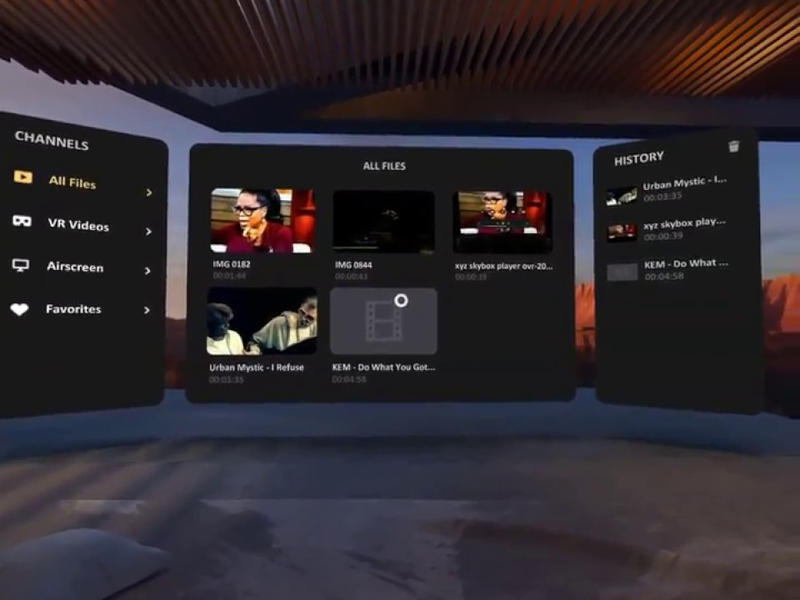 Skybox is a high-quality player that makes choosing the VR video you want to watch easy, and the user-friendly dashboard is pictured in a 3D space. With an intuitive and polished user interface, this VR video loader makes playing videos a breeze and is also free. Phonecast is the result of competition between Samsung, Facebook, and Oculus who are on a joint mission to conquer VR in the mobile space. Phonecast is a dashboard created by Samsung that shows viewers a whole host of web-apps, popular services like YouTube, and providers browser access. VR is about more than just games, and this tool is valuable to users who wish to use the internet in a 3D space. While it may not be ideal for daily computing tasks, it’s still receiving regular updates, and the experience continues to expand and improve. For many of us, watching Netflix on our phones out in public can feel a little exposing and not provide the greatest viewing experience. However, Netflix was one of the earlier adopters of VR, and the streaming service has been working hard on functionality and aesthetic improvements. The Netflix Gear VR app is one of the best Samsung VR apps because it allows users to watch the shows they love in an enhanced and immersive virtual reality space. You may find other apps that are similar, but the Netflix app allows you to watch your favorite show while in a cabin in the mountains of some distant land. Gala 360 is another one of the best Samsung VR apps due to hits incredibly high-quality content, and continued updates. Gala 360 provides photos that tour users through some of the most remarkable places in the world and offers unique images and narrations along the way. The latest update includes Yosemite National Park, 360 photos from Mars, Rome in 3D, and expedition footage to the Antarctic circle. For $3.99 you can access the full range of 360 photo albums and explore parts of the world in a whole new immersive way. The app itself and select content are also available for free. Keep Talking and Nobody Explodes is an excellent VR game where a whole group can play even if you only have one Samsung Gear VR headset. To play the game, one person wears a headset while the other players provide instructions from printed pages of a manual. The goal is to defuse a bomb trapped inside the room with the group. This app is also available on Steam, but the VR element makes it more fun and keeps the whole game social. The price of this app is $9.99. 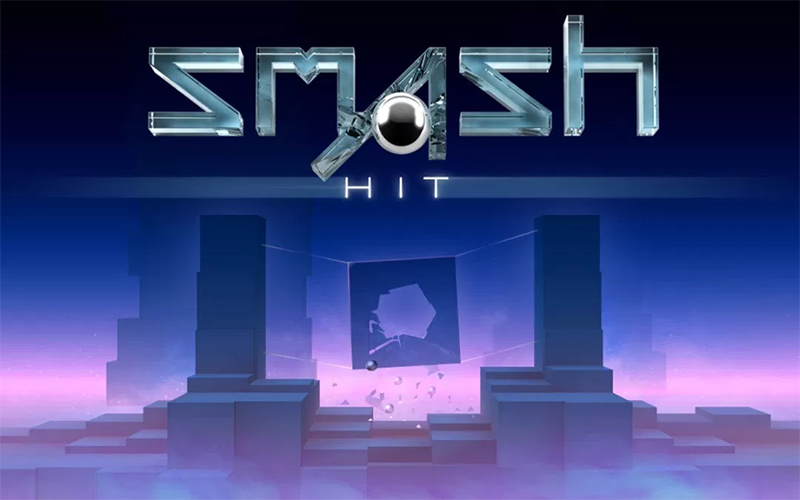 Smash Hit may only be $2.99, but this single-user app has a straightforward premise. The goal of this game is to smash everything that enters your path as you are propelled through an otherworldly dimension complete with different music and sounds. Players must stay focused and continuously hit the moving and beautiful objects that get in their way. The game does start out slow, but as the players move forward, the pace begins to pick up, and more and more smashable items emerge. The only thing that could improve this game is the ability to play with friends. 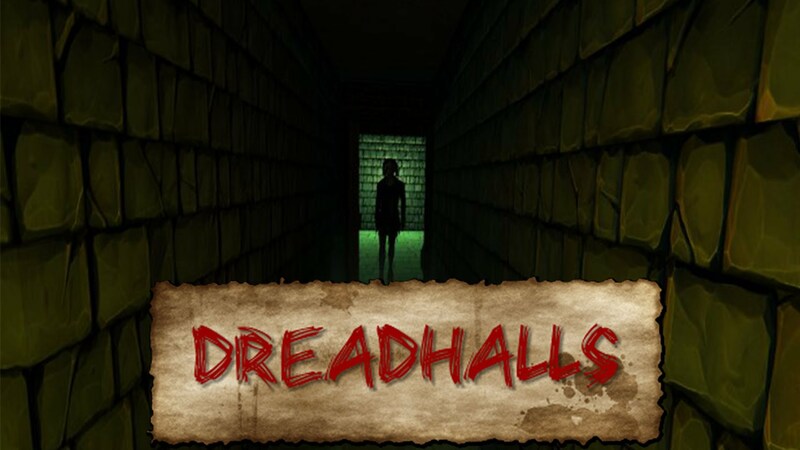 Dreadhalls is a horror game that creates intense and terrifying experiences for players. At $4.99 there is quite a bit of content to keep players busy as they navigate different scenes with limited tools and weapons. Initially, players wake up in a dungeon where they are trapped without weapons of any kind. The only tool at their disposal is a small lantern to help light their way as they explore the dungeon. With lots of content to explore, this game does not repeat sequences over and over as some games do. This game requires a controller, and the only weapons players can expect to collect are their courage and stealth. Dreadhalls may seem like a simple game, but players report getting hours of enjoyment from it provided they can handle the horror aspect for that long. VR canvas is admittedly a knockoff of Google's VR app Tilt Brush, but the app still provides a lot of value, plenty of tools, and other content creation features. 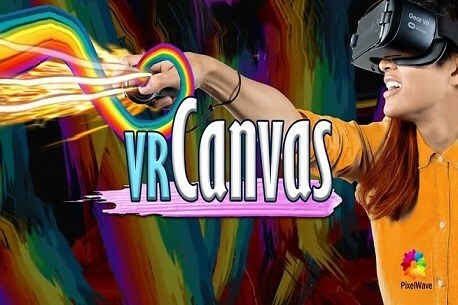 VR Canvas is a solid VR app that is not only fun but offers users the ability to express themselves artistically using their mobile VR system. The app features numerous animation, painting, and texturing tools without the need for a fancy and expensive headset. Players can expect this app to function adequately with excellent performance and resolution using only their phones. This app retails for $3.99, and players love the full range of functionality and options provided. 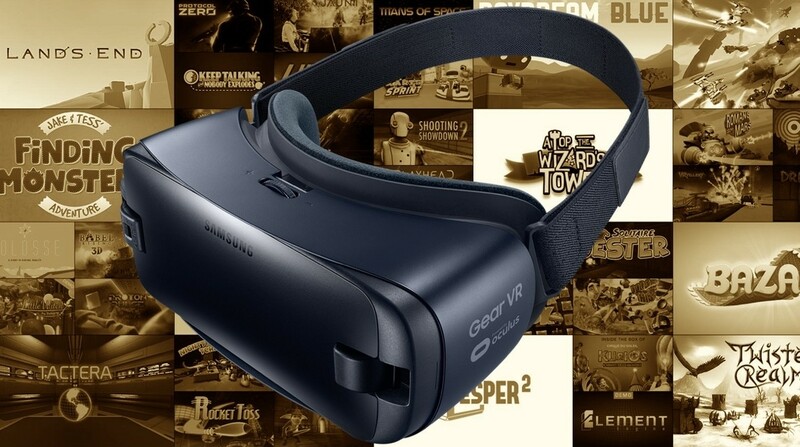 Some individuals will find the best VR options on platforms such as app stores for Android, but Oculus is a better resource for the Samsung Gear VR headset. Oculus’s website is a powerhouse for great VR apps, and users can expect to find hundreds of options in every genre. There are both free and paid apps on the Oculus website, and frequently there are sales, bundles, and other app packs that allow you to explore and get more value out of your VR library. The apps range from basic virtual reality experiences that are appropriate for everyone, to more adult apps that may be scary or otherwise intense. Keep in mind that just because an app is free doesn’t mean that it is lower in quality. Likewise, paid apps do not always deliver and you might want to see player feedback before purchasing. App bundles can be a great way to get a discount on several apps, but the downside is that you don't get to pick what is included in the bundle. The Oculus website is well designed for those that are new to VR. On their site, they have a list of recommended apps to get you started with different VR experiences, and their summer sale is an excellent opportunity to save some money while still trying multiple paid apps. You'll also find some free apps for favorite movies and media like Jurassic World, or Epic Rollercoasters. There are always a number of apps on sale, and many of the paid apps are under $5. For those who like exciting adventures, there is also a category of VR apps specifically for racing, flying, and other simulators for different activities. You can go hunting, discover your way through a maze, and even play strategy-based games. One of the newer segments of VR apps is the introduction of education-based experiences that help users see and experience a place they may not otherwise be able to go. Great examples of these VR apps include Chernobyl, Mars, Titans of Space, and Ocean Rift. Players can also experience other locations in the world such as Venice, experience what the world was like during the dinosaurs, and even learn foreign languages. There are also simulators for practicing skills like public speaking, learning about the human anatomy, and experiencing cities in great detail. Some VR apps provide medical simulators, or the ability to create original designs for any object or space, while others focus more on events happening around the world such as terrorism, space research, and animal rescues. The options are endless, and players are only limited by how much time they wish to spend experiencing VR.